Home > File Encryption > How to Encrypt Email and Attachment Before Sending? How to Encrypt Email and Attachment Before Sending? File Encryption has become a common phenomenon nowadays, and we also have already written many articles about this topic. But if you need to ensure the security of the email and its attachments during transmission over the network, you should get to know several valuable experiences we have collected for you on how to encrypt email in Gmail, Outlook, and other webmail. In this article, we will mainly introduce several email encryption programs applied on the computer for you! Method 1 – How to Lock Email by Using MEO Encryption? The first email encryption tool I wanna recommend to you is MEO Encryption. This email encryption software not only offers you the feature to encrypt and decrypt files, but it also enables you to send encrypted email attachments directly as well, letting you enjoy a one-stop encrypted email service! Note! MEO Encryption is no need for the receiver to install. It only requires the user who needs to encrypt email for sending to download and install. As for the encryption part, this email encryption tool is easy to operate, so I want to mainly talk about how to send encrypted email with it. The best feature of this program is that you can save files to a self-extracting executable, enabling your recipient to open this encrypted attachment without downloading the encryption software. So he/she can directly access the file as long as he/she has the correct password. My favorite feature of MEO Encryption is that you can configure it to use any SMTP account, then the software will get the email encrypted and send it directly to you. There are only two encryption algorithms available – one is a lightweight algorithm (for fast encryption) and the other is a strong encryption algorithm (for slow encryption). Please choose any one depending on your needs. 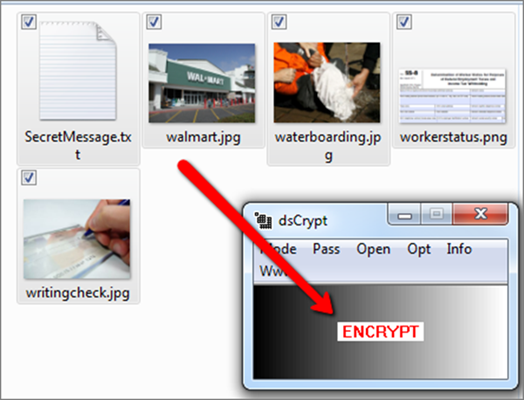 Method 2 – How to Encrypt Email Attachment with Encrypt Files? This email encryption software Encrypt Files is one of the easiest tools for users to encrypt email attachment. Provided with such a simple and clear user interface, you can find the corresponding feature you exactly need at a glance. Note! Unlike the last software, you and your recipient both need to download and install Encrypt Files before implementing the task. At your end, you encrypt the email and then send it; At his/her end, he/she decrypts the encrypted email with this software. On its main interface, the files in all the disks on your computer are listed by folder. You just need to select the file you want to send as an email attachment and click on the Encrypt option under Encryption. Then a password box will show up for you to set a protection password for this file. Note! In order to facilitate your subsequent decryption, please be sure to remember the password you set now! After you finish setting up, click Encrypt at the bottom right corner. When you complete that, an encrypted copy of that original file is created in the corresponding path. Now you can open your mailbox and add this encrypted copy as an attachment to your email. As for the original file, you can order this email encryption software to leave, delete or shred it. Method 3 – How to Send Encrypted Email with dsCrypt? One of the fastest email encryption solutions you should choose is dsCrypt, and it also offers you the simple email encryption. Because it is a small piece of software, its interface is very simple. Note! 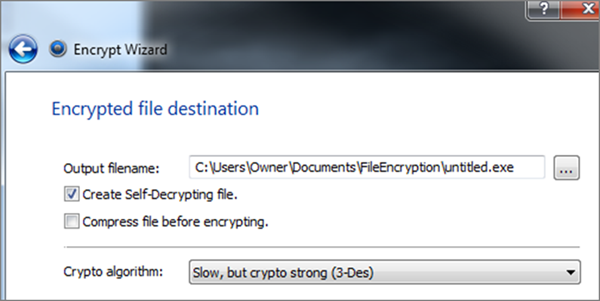 Just like Encrypt Files used in the 2nd method, you and your recipient both need to install dsCrypt in this method. Run dsCrypt on your PC, and you will see a small gray window pop up on the screen. 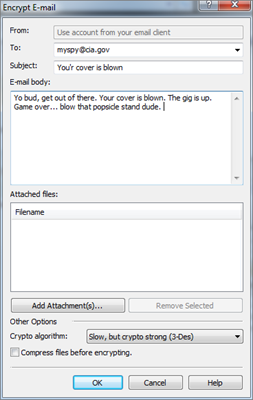 Just drag and drop the file you need to send via email as an attachment into this window, and then you will be asked to set a password to encrypt the file. After you finish that, the file will be transformed into encrypted .dsc files, and then you can email it to your recipient with Gmail, Outlook, etc. to complete this task. Your recipient just needs to put it to the gray window of dsCrypt and enter the correct password to decrypt this file. By the way, in addition to the email encryption mainly discussed in this article, if you need to encrypt other files, for example, encrypt a PDF file, encrypt a Word file, etc. 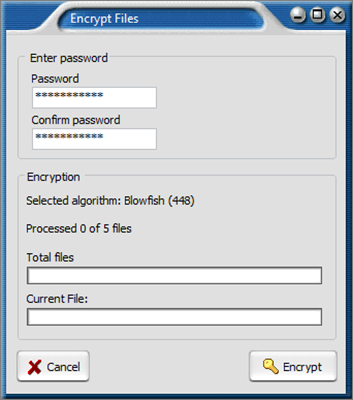 you can download Gihosoft File Encryption software and have a try! The 3 main methods on email attachment encryption we have introduced to you can help you quickly learn how to lock email and then send the encrypted email. What are you waiting for? Share them with people who need it right away, and I believe that they will feel these methods very practical. In addition, if you have any question, please feel free to leave a message in the message box below! How to Encrypt Photo Files Before You Upload Them to Cloud? 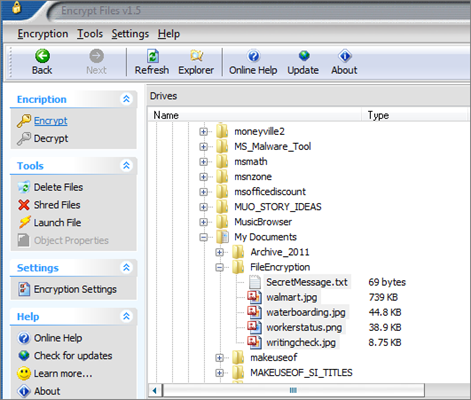 How to Encrypt a Flash Drive on Windows 10/8/7? How to Encrypt External SD Card on Windows 10/8/7? How to Password Protect Zip File on Windows 10/8/7?